What comes to mind when you hear the term “work-life balance?” Does it mean scheduling an equal amount of time for work and personal activities? We know that’s unrealistic and unrewarding. Work-life balance is different for each of us because we have different lives. There is no one-size-fits-all balance. As time goes on and circumstances change, we adjust accordingly. The right balance for you will vary over time. The core of effective work-life balance includes daily achievement and enjoyment. Trying to live an unbalanced life is why so many people who consider themselves successful in one area find that they are not nearly as happy as expected once they attain their idea of success. You can’t have one without the other if you hope to live a rich and satisfying life. Achievement and enjoyment is what drives us to do the things we do even when we think we have nothing left to give. How many times have you gone to work all day, taken the kids to their activities, prepared dinner, done household chores, in addition to all the other things it takes to keep a household running smoothly, all in one day? You may be tired but it is a great feeling of achievement. You have accomplished much in one day. However, achievement alone isn’t enough. There must also be enjoyment because without that you run the risk of feeling empty and resentful. If you’re feeling overworked and on the brink of burnout, you’re not alone. There are many aspects of daily life that are out of your control, so focus on the things you can control. Start by identifying and prioritizing the things that really matter to you. Establish a schedule that includes time with family, friends and activities that help you re-charge. This gives you something to look forward to and adds extra incentive for you to manage your time. Re-evaluate activities that drain you of time and energy. Set boundaries with people in your life who don’t enhance your career or personal life and put that time and energy into areas that really matter to you. Make sure to get enough rest, eat healthy, and move your body. This will boost your energy as well as increase feelings of achievement and enjoyment. Don’t get overwhelmed by thinking you need to make big changes all at once to bring more balance to your life. Start with one realistic goal at a time and gradually add other activities from your list. If you are struggling with work-life balance, help is just a phone call away. Methodist Healthcare EAP offers free and confidential counseling to help navigate through life’s journey. Please call us today at (901) 683-5658 or toll free 1-800-880-5658 to schedule an appointment. Author: Karole Shorter is a Licensed Clinical Social Worker and Certified Employee Assistance Professional with over 15 years of counseling experience. She received her Masters in Social Work from Florida State University in 1999. 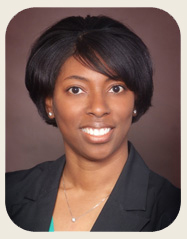 She has been a counselor at Methodist Healthcare EAP for over six years.